Will the US Finally Catch up with the Developed World on Paid Maternity Leave? The Olympics are facing some serious problems with their chosen host cities. Rio de Janeiro hosts the Summer Olympics in 2016, where tremendous pollution and disease issues may affect a number of different sports. Athletes competing in qualifying and test events there have already become seriously ill. 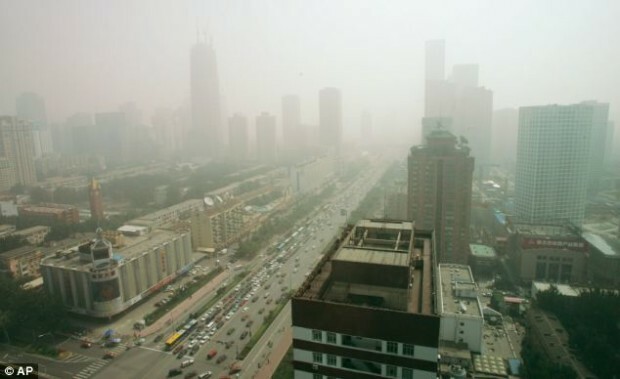 Furthermore, the awarding of the 2022 Winter Olympics to Beijing, an incredibly polluted city that barely ever sees snow, only puts the International Olympic Committee in ever hotter water when it comes to their method of host selection. The most recognized issue is the quality of water 1,400 swimmers and boaters are expected to endure during competition in 2016. An Associated Press investigation found competitors risk becoming violently ill because the water around Rio de Janeiro is heavily contaminated with human feces, bacteria, viruses, and raw sewage. Much of the bacteria found along the Carioca River is qualified as drug-resistant “super bacteria.” This type of contagion is incredibly difficult to treat, both in the water and once contracted. In fact, 13 of 40 U.S. rowers in the World Junior Rowing Championships contracted serious stomach illnesses in an early August 2015 qualifying event, and these are the competitors who never even leave their boats. 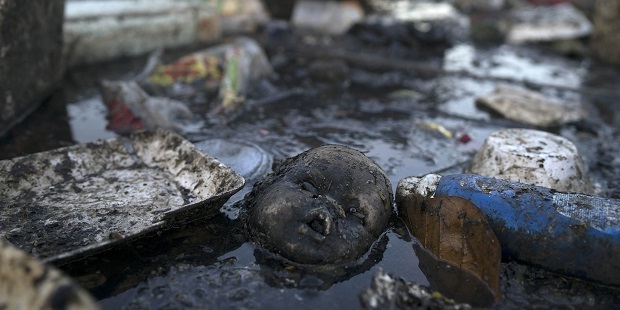 How serious is the level of contamination in Rio de Janeiro? It’s 1.7 million times the threshold of hazard on a California beach. In fact, authorities have a standing recommendation to local Rio de Janeiro residents not to swim on any of the beaches intended for the Olympics competition. Even this isn’t necessarily the most dangerous risk in Rio de Janeiro. A nearly eradicated zoonotic disease called glanders broke out among horses stabled a few hundred meters from the site of the riding competitions. Zoonotic diseases may be passed interchangeably between humans and animals. Brazil’s Agriculture Ministry diagnosed and killed two horses with glanders, which creates ulcers in the respiratory tract and can be spread through fluid, contaminated equipment, and even sneezing. The disease is currently incurable, and its easy transmission and high mortality rate mean glanders is considered a potential biological warfare/bioterrorism agent despite the fact that it is more dangerous to animals than humans. The ministry went so far as to place a quarantine around the Olympics installation, although it is already under intense scrutiny for apparently hiding the outbreak in the first place. A total of 884 horses across two locations are now being tested for the disease. 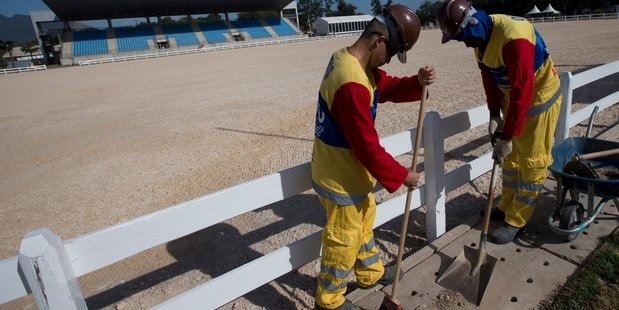 At least 19 infected horses in the state of Sao Paulo have been identified. Considering the risk to life and the fact that many Olympic horses are worth millions of dollars, any continued presence of glanders might seriously affect the equestrian events at Rio. Many of these controversies are due to repeat in 2022, when Beijing will host the Winter Olympics. While Beijing is technically the host city, the Olympics will actually take place 150 miles north in Zhangjiakou, a resort city near the arid Gobi Desert. Snowfall is barely existent and will require the diversion of water sources to assist in creating artificial snow. Add to these concerns continued dismissal of China’s human rights record and you have three major reasons Beijing is unfit to host the Winter Olympics. Yet what other choice did the International Olympic Committee have? The only other city in competition was Almaty, Kazakhstan, and concerns over corruption, regional political trouble, and general inexperience in organizing large-scale international events made that choice untenable. Boston could have been the favorite, but area residents were strongly against hosting what is generally perceived as a money pit of a venture, and the city council and Mayor retracted Boston’s bid at the last second. All of this brings into question the priorities of the International Olympic Committee when selecting finalists and host cities. Is FIFA the only international governing sports body that needs to see major change? The Olympics need to be moved from Rio de Janeiro to somewhere safer, and there should have been time taken to choose a 2022 venue more suitable than smoggy, snowless Beijing. For more information about polluted waterways, look at our previous articles on The Most Polluted Rivers in the World and What You Don’t Know About Colorado’s Gold King Mine Spill. Should the 2016 Summer Olympics be relocated? Where should they be held instead? Can the Winter Olympics be held in an area without snow? Gabriel is a movie critic who's been a campaign manager in Oregon, an investigative reporter in Texas, and a film producer in Massachusetts. His writing was named best North American criticism of 2014 by the Local Media Association. He's assembled a band of writers who focus on social issues in film. They have a home base.